663 million people still use unimproved drinking water sources. It’s easy to forget how vital water is to our lives. It’s also easy to forget that in some parts of the world, having access to tap water is a luxury. 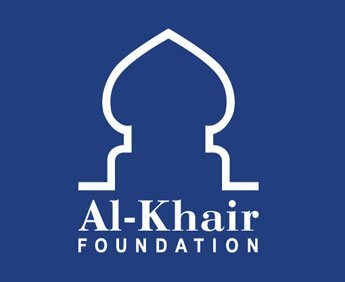 Al-Khair Foundation provides clean, running water to disadvantaged communities worldwide. We look for the most effective way to source water in any given location, and then we work to get the water to those in need. Whether this means building boreholes and installing hand-pumps, or even setting up water filtration plants that work on solar energy, we strive to provide the gift of water to the communities who need it the most. Many of our Water Aid programmes also involve awareness-raising sessions to educate a community about safe water and hygiene. Whether you want to buy a village a well, or invest in a deep borehole, by supporting our Water Aid projects, every donation will ensure more people have access to clean water. AKF builds water wells in central areas such as marketplaces or near community centres, to allow easy access for all. Even people from neighbouring villages benefit from the wells. One water well can provide clean drinking water to an entire Kenyan village of 400. Deep Boreholes are a long-term water solution. 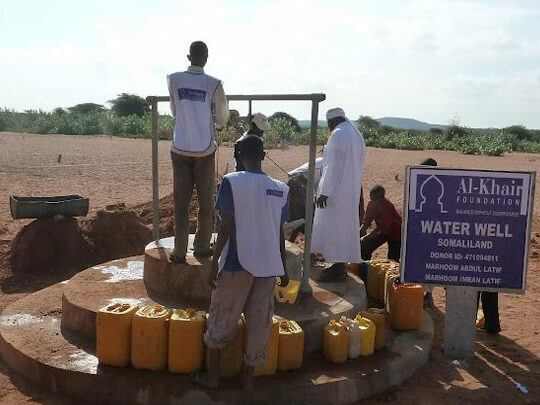 AKF’s borehole projects in Africa (Somaliland and Kenya) have enabled migrant communities in semi-desert regions like Somaliland’s Sahil to settle down and start small farming projects. Hand pumps help us to tackle the issue of water-borne diseases in regions where clean water is scarce. 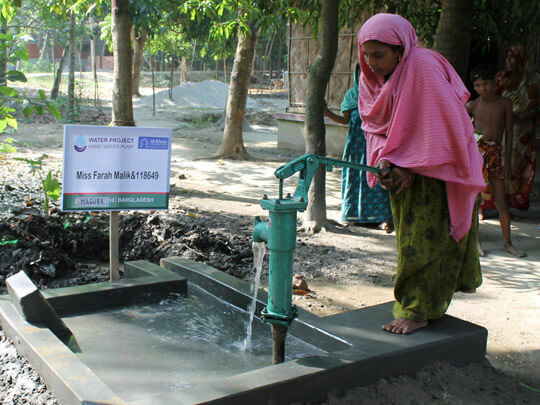 We also install Indus pumps- modified hand pumps with the capacity to tap water sources that are deeper under ground. 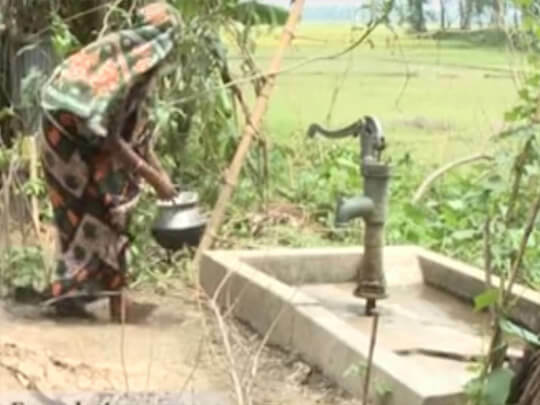 In one village in Bangladesh, at least 75 out of total 200 households would have to travel far in order to access clean and safe water from others. AKF’s semi-deep tube wells are ideal for this location in tapping into a shallow water sources from underground layers of permeable rock, such as sandstone and limestone. 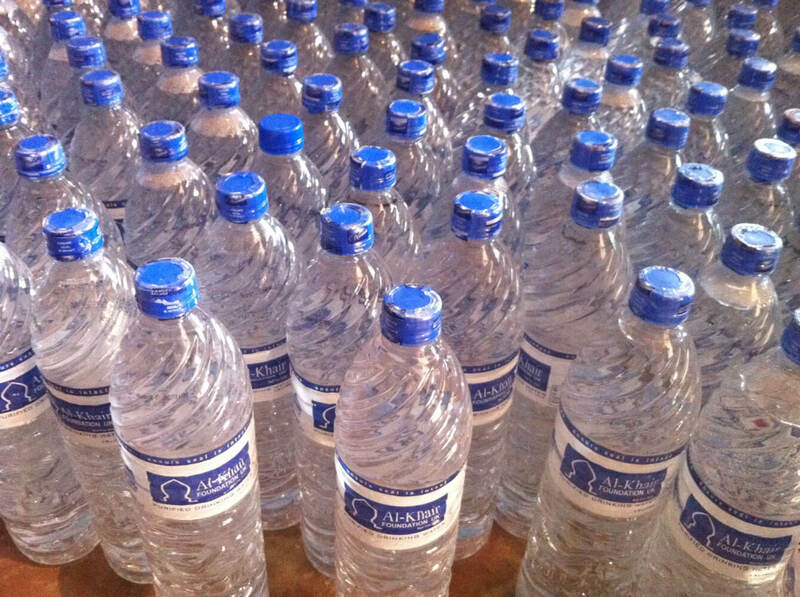 During emergencies, the quickest way to ensure survivors are hydrated is through bottled water distribution. It’s often our first course of action. 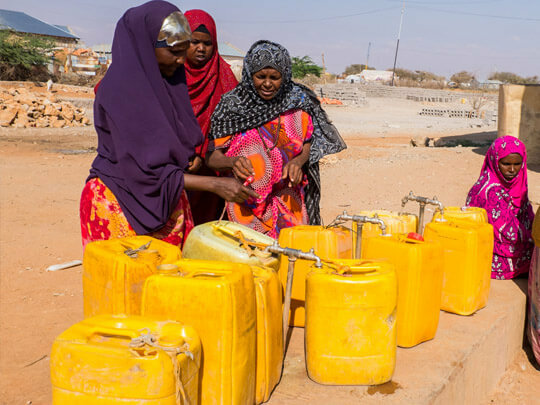 Yet sometimes, bottled water distribution is also a last resort: when we are trying to reach communities in areas where our water tanker trucks cannot.. In areas where clean water is hard to come by, water filtration plants are an effective solution. Our solar powered plants purify existing water depending on its contamination levels, and provide water to a minimum of 10,000 people. 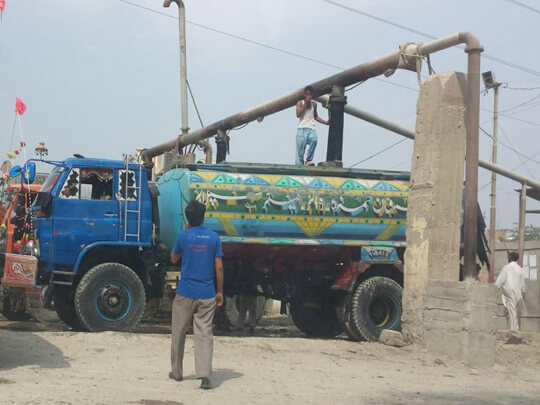 AKF operates water tanker trucks in Africa (Somaliland and Kenya). This is one of our ongoing projects, where our trucks carry water extracted from deep boreholes and deliver it to communities with no source of water.